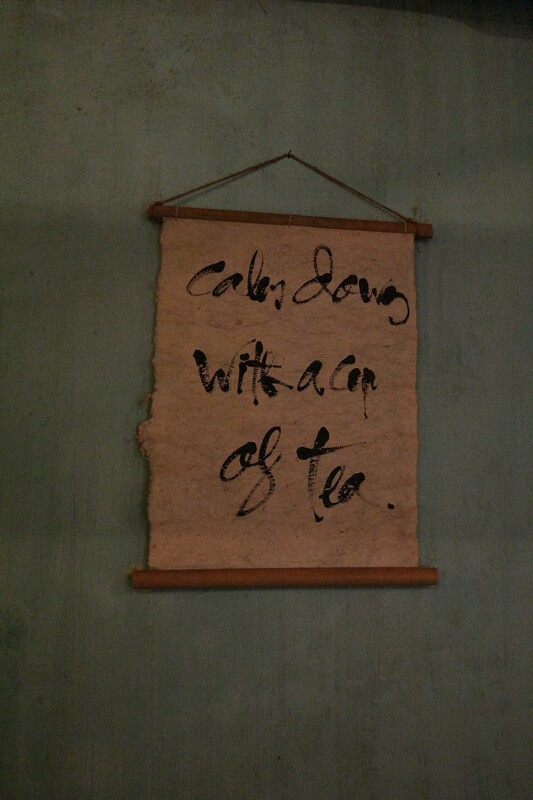 We stumbled upon quite a few tea houses in Hoi An, but my favourite was the Reaching Out Tea House. Reaching Out Vietnam started up back in 2010, with the goal of providing opportunities to learn skills and fain employment for people with disabilities. In Hoi An, they have an arts & crafts shop, where every beautiful piece (and I do mean beautiful) has been created by an artisan with a disability. 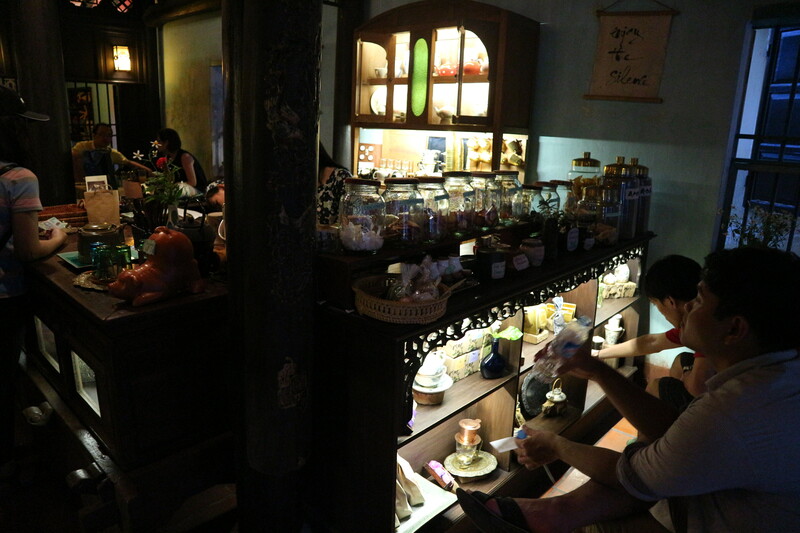 They also have the tea house, which is the ultimate sanctuary in such a bright and busy city. The beautiful space is serene and calm, made even more so by the request that guests communicate in whispers. The staff are all speech and hearing impaired, which makes not the smallest bit of difference in their service. If anything, it’s better than any other tea house I’ve ever visited; they were all so gracious, elegant and accommodating. 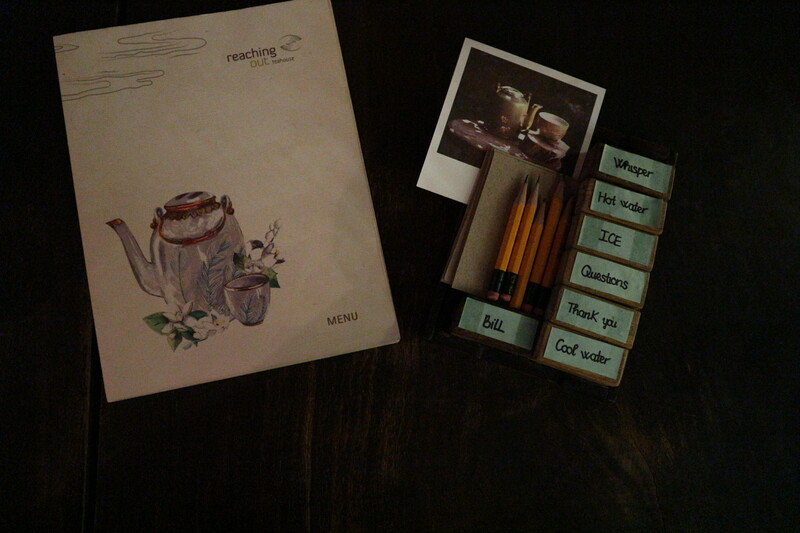 Communication really isn’t an issue; once seated, we were given paper menus and pencils so that we could mark our orders and hand them back. That was the easy part – the menu is huge! We also had some spare sheets of blank paper and blocks (see below) which made it even easier – they’ve thought of everything to make both the staff and guests as comfortable as possible. In the end, husband settled on a Good Day Coffee (made from specialty-grade Arabica beans grown in Cau Dat, with notes of toffee and cashews). It came out on a beautiful tray in an even more stunning coffee cup, with detailed golden lotus leaves and flowers crawling up its sides. 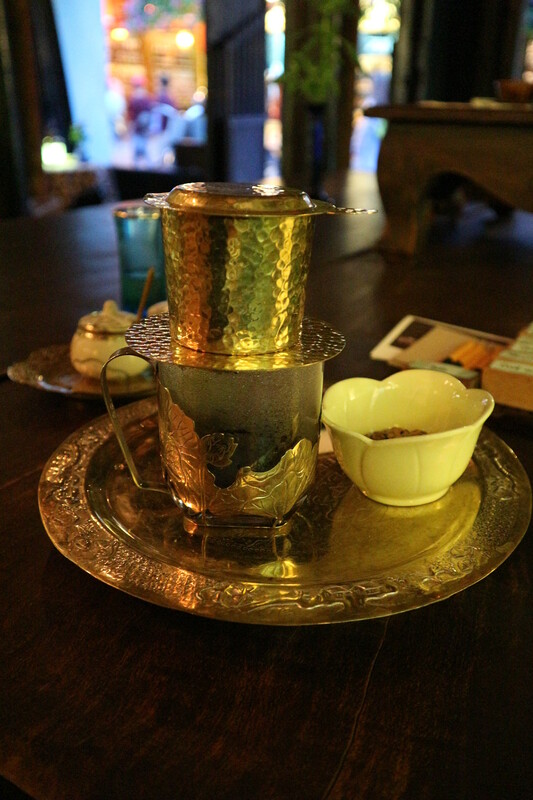 The dainty little gold Vietnamese coffee filter was beautiful, too – if I drank coffee, I’d have gone home with a set! But I don’t, so I left the tasting to husband, and it got a big tick of approval. I chose a pot of private production Oolong tea (an organic tea from the Central Highlands with a pale colour and light, floral taste). 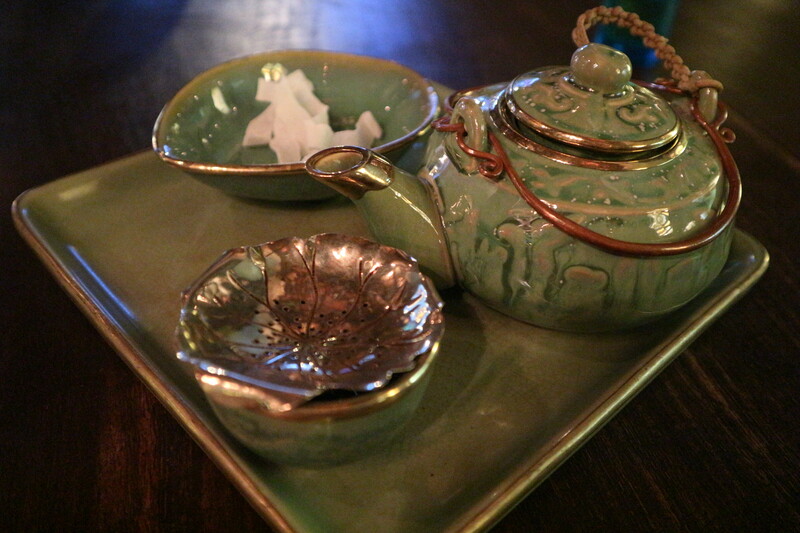 Again I was blown away by the magnificent tea set, and took a moment to be a dork and just admire it. 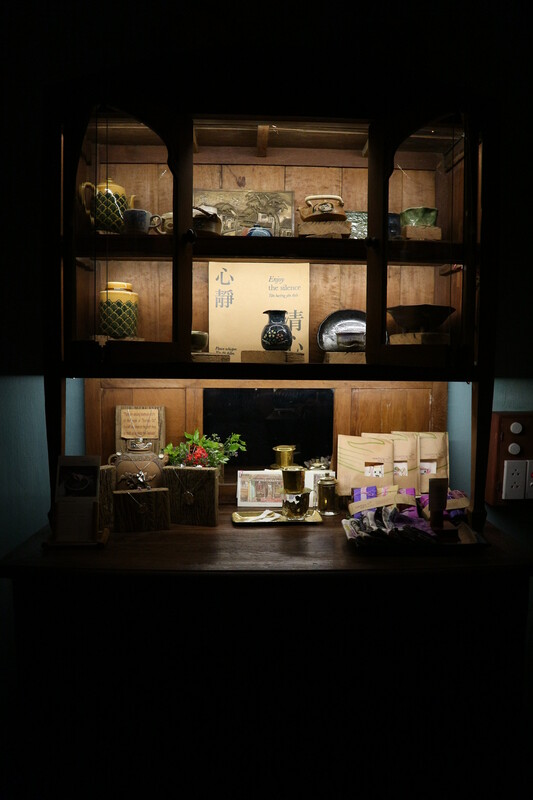 The tea was fantastic, too – such an easy drinking tea in that climate. 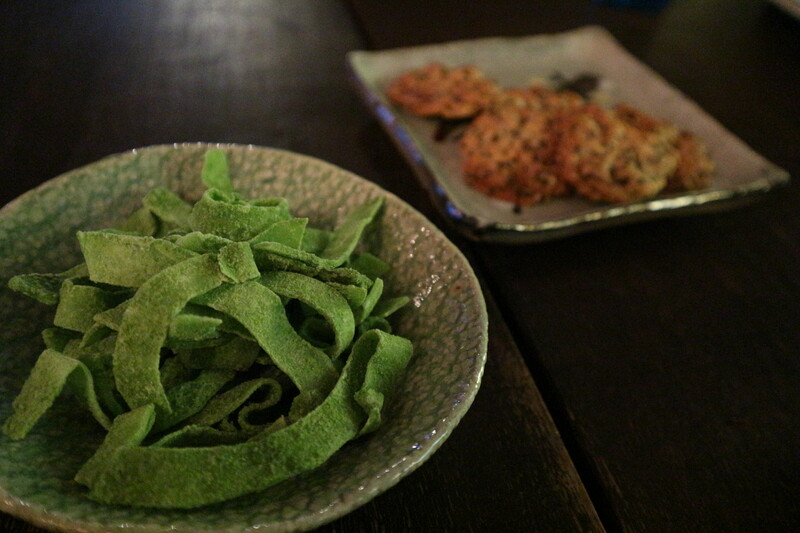 We also ordered some sweets – husband chose the black sesame cookies (verrryyyy moorish), and I didn’t bother reading past the pandan green tea coconut, which (to my joy) turned out to be thick green tea & pandan flavoured strips of dried coconut. Actual edible heaven! Its such a gorgeous place!